The lake is the centerpiece of this unique neighborhood situated in the Berwyn section of the Township. The addition of these hydrants will greatly expedite water supply operations in the event of a structure fire. 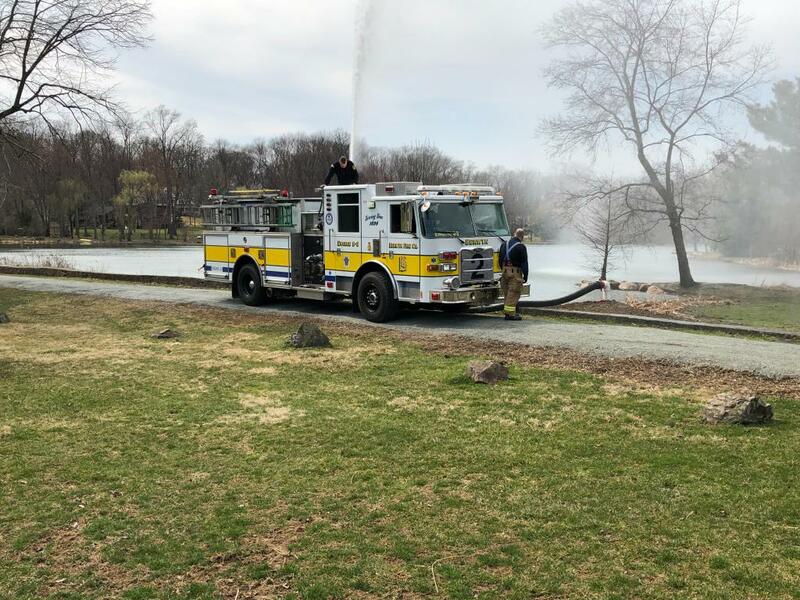 In turn, this will also help to minimize fire loss if disaster strikes and eliminate the need to put firefighters close to the water to put hoses into the lake itself as was done in years past. Unlike a normal fire hydrant that runs off of a water main, these hydrants work by pulling the water out of the lake via a hose connected to a fire truck. This is commonly referred to as 'drafting' in the fire service.Prior to this project coming to fruition, there were no fire hydrants that adequately served these residents or that firefighters could rely on. This project was made possible by a grant from the Pennsylvania Department of Conservation and Natural Resources - Volunteer Fire Assistance Program. 50% of the the total project cost of $9,000 was covered by the State and the remaining portion by Leopard Lakes. 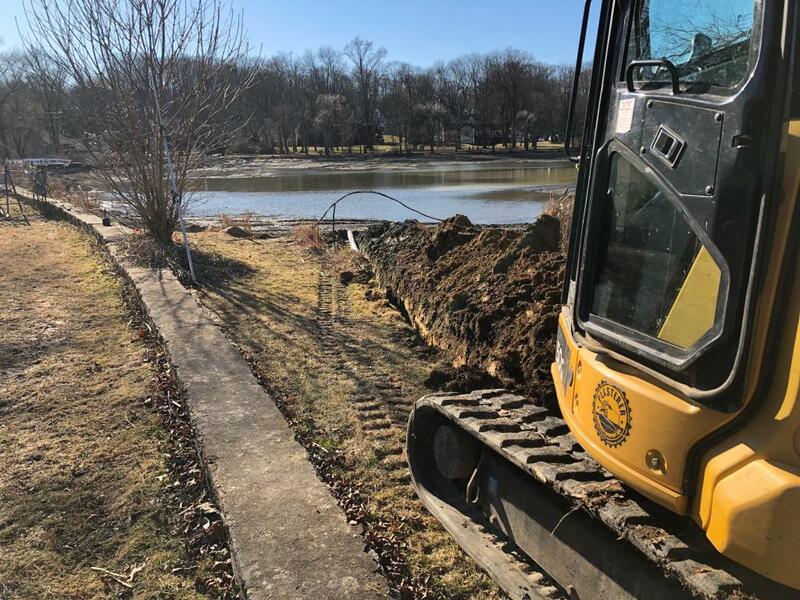 The Berwyn Fire Company facilitated the grant application and coordinated with Easttown Township officials, Leopard Lakes officials, and Toth Brothers Clearing & Dredging, Inc. to see the project completed. 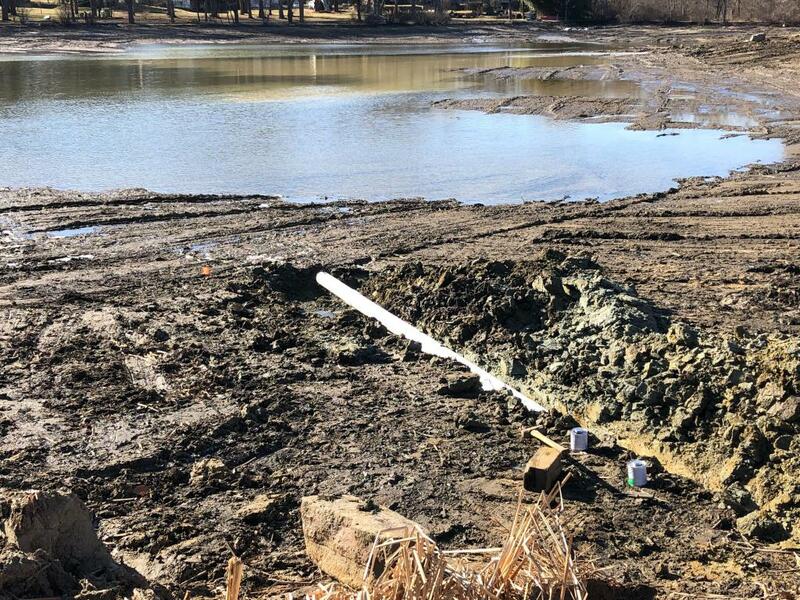 The installation of the hydrants occurred in conjunction with the lake being dredged and cleaned out over the past several months. 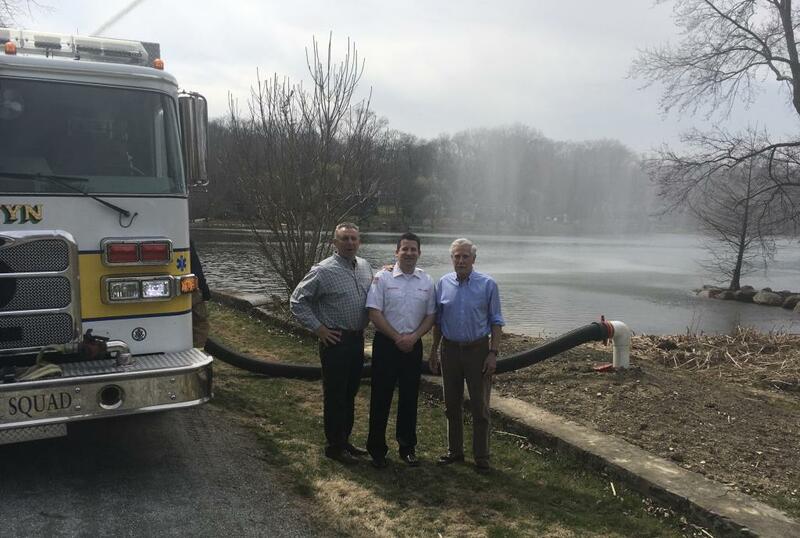 Special thanks to John Mostoller, Project Manager for Dredging & Dam Reconstruction of Leopard Lakes Farm, Inc., Marc Heppe, Past Treasurer of Leopard Lakes Farm, Inc. and Easttown Township Supervisor, Resident David Williams, and Resident William Gerhardt for working with the Berwyn Fire Company over the past year on this important public safety project. This is a great example of community risk reduction and something in which the Berwyn Fire Company prides itself in the delivery of emergency services to the T-E community. Berwyn Engine 2-3 testing one of the dry fire hydrants for the first time. Success! A lot of careful work and planning went into each placement of the 3 hydrants. The dry fire hydrant allows for easy access to the lake, without the need to put fire hose directly into it. Another view of the dry fire hydrant piping extending into the lake bottom. The tall piping with the holes, acts as a strainer, allows water to be pulled from the lake. This piece goes on the end of the hydrant piping. 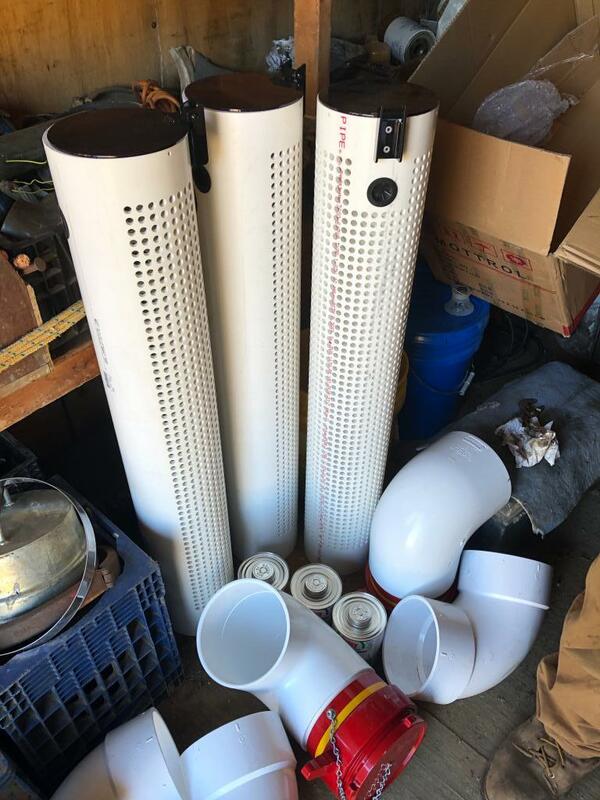 This also eliminates debris, including fish from getting sucked into the piping. 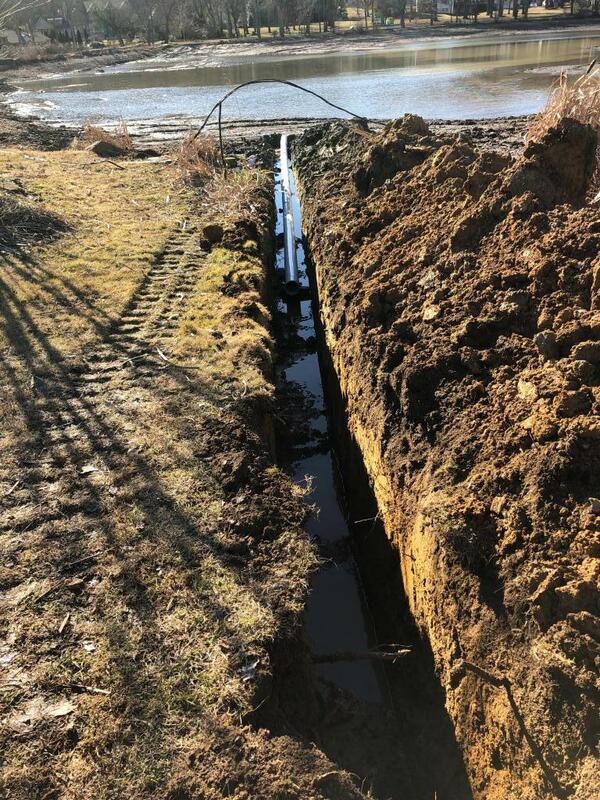 One of the trenches being dug for installation of a dry fire hydrant.